As the popularity of drones and the piloting of them as a hobby, and for commercial purposes, continues to grow, pilots and operators are increasingly looking for ways to increase the power, efficiency, speed, height, and general performance of their drones. One of the most common ways in which pilots and operators hope to enhance their unmanned aerial vehicle (UAV) is by upgrading their drone propellers. It’s a sound strategy as a prop upgrade can improve a drone’s performance, particularly if a pilot is still using the plastic propellers that so often come with new drones. Following are four of the most important considerations drone operators should keep in mind when buying new propellers. 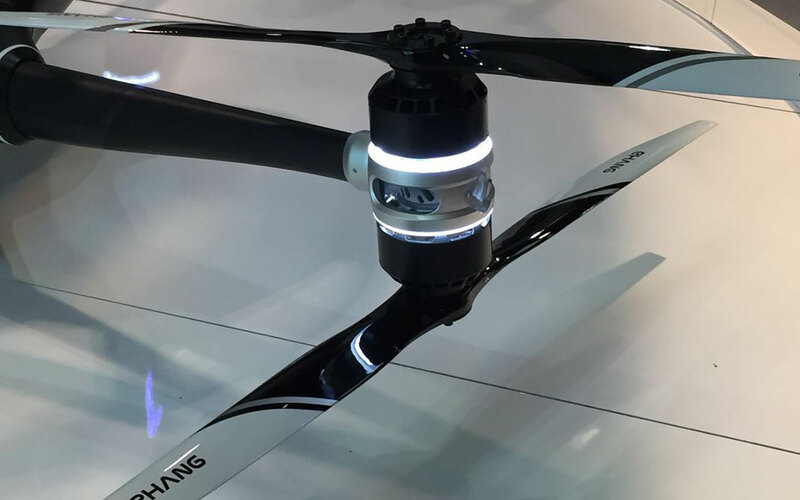 There’s assumption that can accompany the performance of drone propellers: bigger is necessarily better. Not so. Longer propellers move more air and therefore create more lift, but that’s not always what’s best for a drone’s performance depending on your priorities. Shorter propellers, for instance, not only increase the speed of the drone, but they also make drones easier to control at higher speeds. This makes a drone outfitted with shorter props more maneuverable. So, if your priority is speed, like racing for instance, go with shorter, sleeker props. If your priority is lifting heavier loads, like large cameras for cinematography, choose propellers of greater length. As is the case with so many other features of drone propellers, even small changes in the diameter of a propeller’s blades can have a huge impact on efficiency. Similar to the length of a propeller, the greater the diameter of a propeller’s blades results in greater stability and greater lift. Also as is the case with propellers of greater length, that greater diameter is preferable for drones carrying heavier loads. While props with slimmer diameter speed up and slow down more quickly than those with greater diameter, making them more responsive and therefore better for racing. Propeller pitch can be described as the distance a drone travels per rotation of a propeller. It’s definitely one of the situations in which bigger/more is not necessarily better. The lower the pitch of a propeller, the more torque produced by the prop. More torque means less turbulence, better lift, and the drone motor doesn’t have to work as hard to lift the drone. The higher the pitch, the more air moved, but that air is moved less efficiently, resulting in less torque, less lift, more turbulence, and less efficiency. For most UAV operators, that means choosing propellers offering lower pitch whenever possible makes just makes sense, especially if a smoother ride is a priority. That being said, there are exceptions. For drone pilots working at higher altitudes, for example, higher pitch can improve performance. There are benefits and drawbacks to every propeller material. Basic plastic propellers are light and often inexpensive. They are also more likely to break on impact if a drone crashes. That can actually a good thing, however, as a broken prop is far less expensive than a damaged motor bearing on your drone. Carbon fiber propellers are incredibly strong and cause less vibration and sound. They are also lightweight, responsive, and well-balanced. They tend to be a little more expensive than plastic props and are less likely to break during a crash. Finally, there are wooden propellers. (Beechwood propellers by XOAR are a good example.) In some ways, these props are like a combination of carbon fiber and plastic. Wooden props can be incredibly finely machined, are light and efficient, do not suffer the vibrational stress other propellers are prone to, and are more likely to break on impact, protecting the motor bearing. XOAR has been a recognized innovator in and thought leader of the drone and RC vehicle industry for over 40 years. That recognition is based on the efficiency, quality, and precision of their products and manufacturing process. Their RC propellers, drone motors, and other UAV equipment and accessories all leverage cutting-edge technology, the highest quality material, most skillful engineering, and top manufacturing standards. XOAR’s expertise further includes propellers for industrial UAVs, LSA, civilian aviation, ultralight aircraft, commercial applications, RC airplanes, mid-to-large UAVs (like hexacopters, octocopters, and gear and parts for them), and much more. That science is best left to the professionals and experts has been the conventional wisdom for decades, if not centuries. This is changing, however, thanks to some scientists, a whole lot of drone propellers, and groups of committed citizen scientists. Thanks to drones, people without scientific training can now contribute to scientific research in a number of fascinating capacities. Those contributions, however, aren’t without some unique challenges. For the sake of transparency, it’s worth noting that this is not the first time that scientists have employed citizen scientists, and the information they gather, as important contributors to our collective scientific understanding. In fact, this has been taking place well before drones ever existed. Two good examples are involvement in the Cooperative Weather Service, which began in 1890, and the Christmas Bird Count, which started in 1900.Interestingly, drone-assisted research today is in similar fields. So far, the fields in which citizen drone-using scientists seem to have contributed the most are animal (including bird) information and climate research. Perhaps one of the best realizations of scientists and citizen scientists cooperating was Australia’s “Epic Duck Challenge” in 2018, which involved a small army of volunteers setting up thousands of fake ducks on a beach to measure the accuracy of drone wildlife counts. Citizen scientists have used drones to study El Niño, record bird songs and populations, and study animal population movement as well as the effect of the noise of a drone motor on the populations beings studied. Drones have been used to observe erosion, monitor the behavior of sea turtles and whales, inspect the health of reefs, etc. In fact, the information provided by citizen scientists with drones can prove as helpful as data gathered by traditional scientists due to the wealth of information citizen scientists collect. Not that the use of citizen scientists is wholly without issues. Those issues, however, are often not the fault of the citizen scientists. For instance, a group of climatologists engaged a group of citizens to use photography drones to record the influence of El Niño on the tides. Unfortunately, the climatologists failed to specify that they most needed images from high tide, limiting the usable data. There are also often separate FAA rules for professionals and hobbyists and distinguishing which of those citizen scientists are can be tough to establish. There are also practical concerns. The fact that citizen scientists are everyday people means that they often may not have the specific equipment necessary for sophisticated scientific research. The use of drones for any research often requires complex mapping software to interpret data gathered by expensive drones. Whatever the challenges, however, the more popular and common the flying of drones becomes, the more often citizen scientists will be called up to lend a hand to the studying of our planet and the life on it. XOAR is a recognized leader and innovator in the RC vehicle and drone industry and has been for over 40 years. That recognition is a response to the quality, efficiency, and precision of their manufacturing process. Their drone motors, RC propellers, and additional UAV products all employ leading-edge technology, the best material, supremely skillful engineering, and the top standards of manufacturing. Their expertise also includes propellers for LSA, industrial UAVs, ultralight aircraft, civilian aviation, RC airplanes, commercial applications, mid-to-large UAVs (including hexacopter and octocopter gear and parts), and more. Anyone familiar with drones is no doubt aware of their military use and their burgeoning popularity among hobbyist unmanned aerial vehicle (UAV) pilots. While most are likely aware that they’re increasingly employed for commercial applications as well (cinematography, delivery, agriculture, etc.). However, less well-known is that drones are becoming an increasingly invaluable asset to scientific research. That value is proving to be an impressively prolific one, too. In fact, drones are being taken advantage of by biologists (micro, marine, terrestrial, etc. ), climatologists, geologists, ecologists, volcanologists, and meteorologists—so scientists in pretty much every branch of natural and life science are benefitting from the use of UAVs. Drones are demonstrating an ability to reach places with more agility, easier access, and (extremely important for virtually all scientific studies), far lower cost than other research media are capable. The following is a record of just a few of ways in which drones are emerging as a precious scientific aid, both above water and land. Drone technology is being deployed over bodies of water for a variety of reasons. Thermal imagery from above is revealing fascinating, and often daunting, data regarding the effect of climate change on coastal regions. It’s proven particularly beneficial in arctic and Antarctic ecosystems. Drone propellers, being safer to engage right over the surface of oceans, rivers, ponds, and lakes, allow UAVs to perform a more active role. 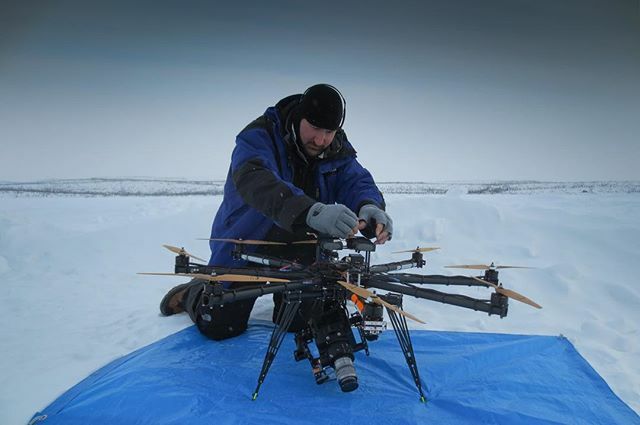 In a series of studies undertaken in the Arctic and tropical waters, drones have dropped pods the size of a soda can called “micro-drifters” that collect and analyze the atmosphere for temperature, pressure, and water vapor levels. Once in the water, a micro-drifter functions as a sort of micro-buoy capable of recording and transmitting data about salinity and temperature measurements at different depths back to the drone. Biologists have also been using drones to collect a wealth of health and other biological information from the blowhole exhalations of whales. In fact, an analysis of just 19 whale blow samples revealed six new species of virus from five different families. It’s known that animal research is often influenced by the fact that observing the subjects can influence their behavior. Drones have been found to at least mitigate this. Scientists and citizen scientists alike have been able to observe populations of bears, flamingos, sea turtles, leopard seals, the earlier-mentioned whales, migratory seabirds, and many, many more, with drones. And apparently, they do so with significantly greater accuracy than more traditional means. This, along with the emergence of less intrusive drones, such as ones made to resemble small creatures like hummingbirds, means the observing can be done with even less stress to the studied populations. In a practical application that could save farmers a good amount of money, drones have recently been used to identify diseased olive trees by temperature differentials, which allows the scientists to cull them before they show symptoms (which is long after they are contagious). Additionally, a team in Costa Rica took advantage of the fact that a drone motor isn’t as at risk of having its engine clogged with ash to study the noxious, poisonous gasses being vented by volcanoes. On top of these examples, there are dozens of additional experiments being undertaken with drones, and seemingly, only more to come. For more than 40 years, XOAR has been recognized as an industry-leading innovator for their contributions as well as the precision, quality, and efficiency of their drone technology. Their RC propellers, drone motors, and other UAV products employ cutting-edge technology and the finest material, most skillful engineering, and the highest standard of manufacturing. That expertise extends to industrial UAVs, propellers for LSA, civilian aviation, ultralight aircraft, commercial applications, RC airplanes, mid-to-large size UAVs (including octocopter parts and gear), and more. 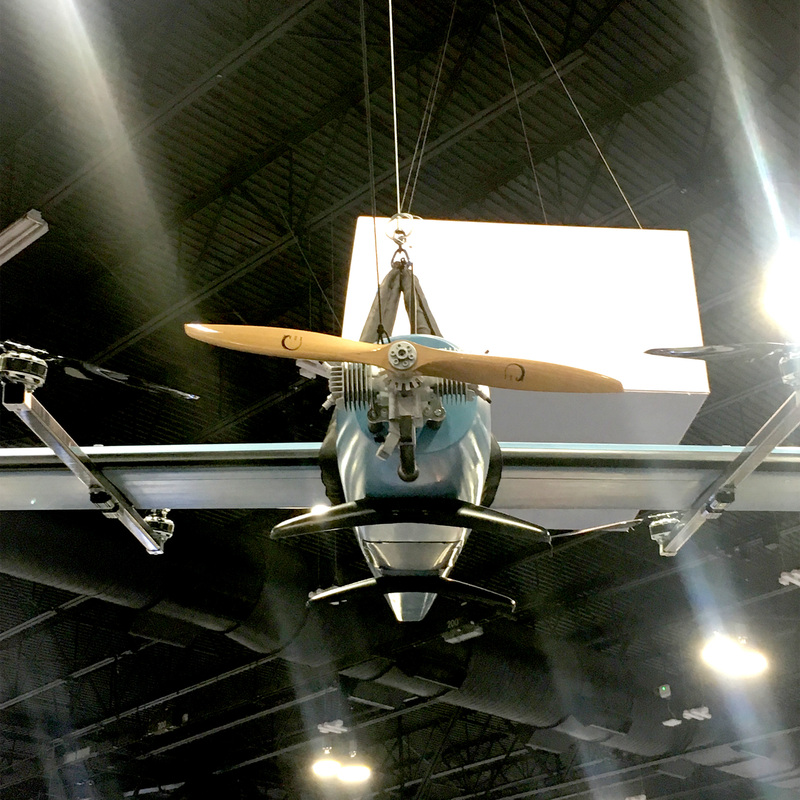 XOAR’s propellers have been long lauded for quietness during flight, their superior agility, impressively low air friction, and overall excellent performance while in flight. If there’s a hierarchy of drones, the octocopter is at the top. That is not to say that the eight-rotor octocopter is therefore the most prudent and practical choice for every unmanned aerial vehicle (UAV) hobbyist, but it is certainly the most. As in, it has the most thrust from the most propellers, often on the most booms; the most mass; the most carrying capacity; the most powerful drone motor, etc. Whether or not an octocopter is a prudent and practical choice for you depends on several factors. Among those is whether you are a hobbyist or plan to use the drone professionally. Every drone represents an investment of time, money, and energy, and that is particularly true of octocopters. So before you spring for or build an octocopter, there are some considerations to keep in mind. The short answer: An octocopter is the ultimate UAV experience. With double the rotor power of the average hobbyist drone, octocopters are considerably faster, more stable, capable of flying higher, and designed to carry far heavier loads than any quadcopter or hexacopter (a UAV with six drone propellers). The extra rotors also mean that up to half of the propellers can fail and an octocopter can stay in the air for a while and land safely. That’s definitely a point in its favor when the catastrophic crash of an octocopter could mean a lot of money lost. Though it also means their batteries drain markedly more quickly than other drones. Having a drone that’s capable of higher, faster, more stable, and more powerful flight is, without question, a lot of fun. It is also correspondingly more money and likely more work. Octocopters aren’t as get-it-and-go user-friendly as quadcopters tend to be. There are add-ons to calibrate, programming to do, and they are far more likely to require being virtually built out from the frame out. Understandably, those considerations mean it’s very rare that an octocopter is someone’s first drone. Experience and an understanding of drones, their mechanics, the physics of their flight, etc. is, if not a necessity for successful octocopter use, certainly strongly recommended. However, if you are blessed with a good deal of confidence, insight, patience, a desire to learn new things, and a need for speed, an octocopter might be right up your alley. Why Octocopters for Professional Use? It turns out that there are limits to this whole miniaturization thing that has defined technology recently. That seems to apply specifically to camera technology. Sure, camera size has gone down and digital cameras a quarter of the size of film cameras can record exponentially more photos. But, for high-end cinematography, for instance, the cameras necessary for the highest-quality, highest-definition images, digital or film, are still sizable. Those cameras are the loads most commonly carried by octocopters. 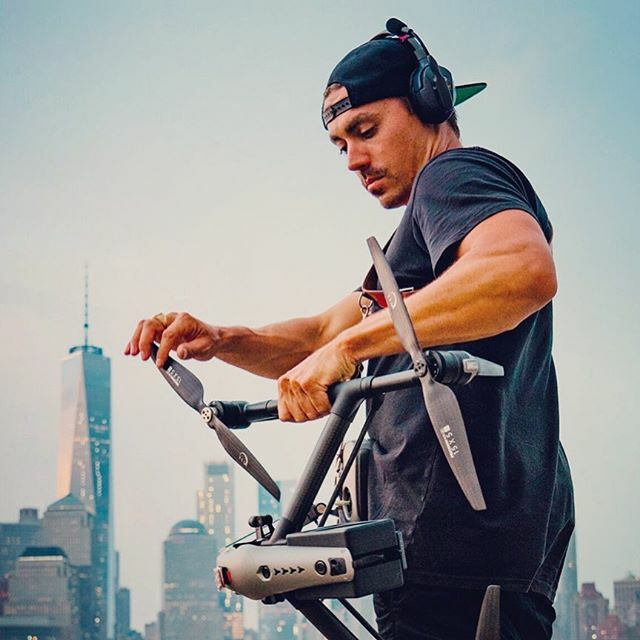 Despite an eight-rotor UAV not being exactly cheap, they have proved an incredible boon for filmmakers big and small. They are also far less expensive than employing a crane or an actual manned aircraft, which for decades were virtually the only way to get overhead shots; particularly shots that weren’t static. The additional stability lent to the octocopter by the additional rotors, even when cruising through wind, also means impressively steady, consistent filming. The additional height they’re capable of reaching allows for those inexpensive, smooth, stable, dynamic overhead shots to be captured from great heights. Which means that if you’re a filmmaker on a budget, an octocopter could be an absolute game-changer. For over 40 years XOAR has enjoyed an international reputation as one of the best, most precise, most trustworthy, and most innovative names in the UAV industry. That reputation rests on their commitment to leading-edge technology that implements the highest-quality designs and components. Their specializations include the best brushless motors and RC propellers for everything from mid-large size UAVs, ultralight aircraft, the RC aircraft market, civil aviation, LSA, and commercial UAV applications. Like all other technological platforms, drones are just going to keep getting better. For drones, “better” means: stronger, lighter, faster, more efficient, more accessible, and more powerful. Additionally, their real-world applications are going to broaden out as more drones get involved in the delivery of packages, disaster relief, and more. Right now, those applications have been largely limited to the use of commercial and hobbyist drones. However, an entrepreneur and inventor from New Zealand named Chris Malloy has taken drone technology the next level with his aerial vehicle, the Malloy Aeronautics Hoverbike. The Malloy Aeronautics Hoverbike is basically a scaled-up quadcopter, but a few steps beyond the RC propellers you may be used to. It is lifted by two sets of two offset or staggered turbofan propellers. Essentially, similar tech that gives propulsion to a helicopter or hobbyist quadcopter. One main difference, however, is that the Hoverbike is made to be ridden. The Malloy Aeronautics Hoverbike’s design is, if not revolutionary, certainly unique and praiseworthy. Most of the Hoverbike is a combination of carbon sheet and aircraft-grade aluminum. The turbofan rotors are fitted into a protective blade-housing of UV-stabilized polycarbonate. Once spinning, the rotors cut through the material, creating a revolution channel that reduces the clearance between the top of the propeller and the duct wall as much as it can be reduced. Other clever details include adjustable weights in the central, saddle section of the Malloy Aeronautics Hoverbike’s chassis, achieving the appropriate balance regardless of the pilot’s size or weight. The earlier-mentioned offset props also ensure that the Hoverbike is powerful enough to stay in the air and slim enough to optimize maneuverability. The Hoverbike’s props, as one could imagine, are like souped-up drone propellers. They’re big enough to carry a platform that’s large enough to support a human being. And it got its start through a Kickstarter campaign. While flying or building a hover bike in your backyard might be a little bit outside your budget, there are a number of ways you can enhance your drone to increase its performance, power, and efficiency. The best place to start is an upgrade of the motor and props. Most drones come equipped with a stock motor that provides a perfectly acceptable performance. However, as an ever-increasing number of drone hobbyists, enthusiasts, and pilots are discovering, tinkering with their drone’s components to take its performance from acceptable to exceptional makes the pastime that much more satisfying. The drone motor upgrade you choose will depend on your drone’s specs and what you use it for. If you own a small GoPro-carrying quadcopter, for instance, buying an industrial, heavy-lifting motor capable of hauling up to 70 kilograms of hexacopter and its cinema-quality digital camera doesn’t make a whole lot of sense. 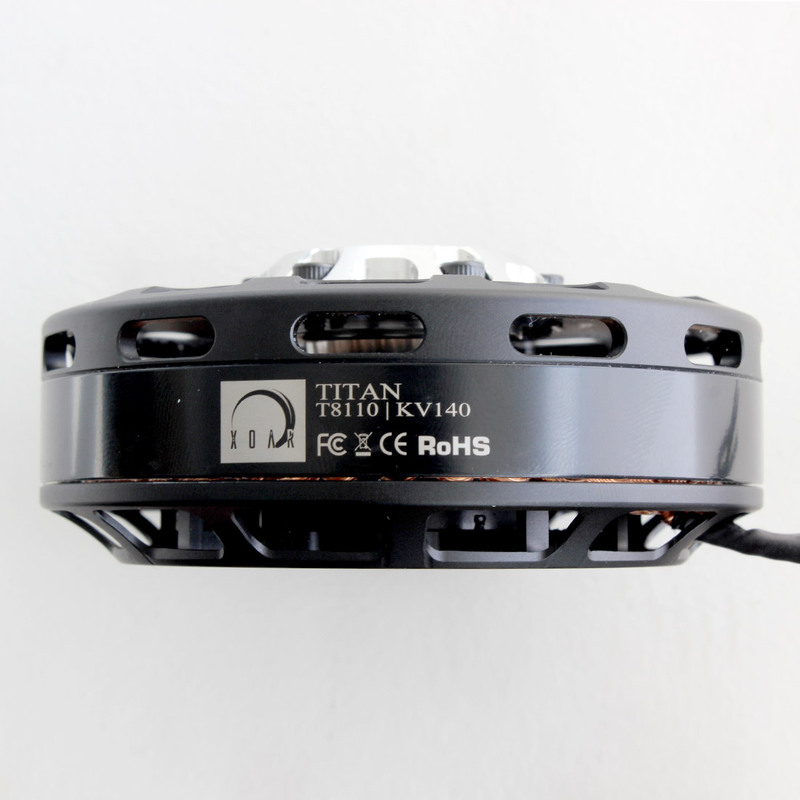 However, investing in a lightweight brushless motor designed to increase the height, handling, and flight time of a small-to-medium drone, while decreasing noise, is a terrific way to give your drone and the images it captures a new life and better performance. Drone propeller technology has, like motor technology, improved by leaps and bounds since the mainstream introduction of drone-flying as a pastime (or livelihood). While some neophyte drone pilots might think props are props—if they consider them much at all—the difference that a new set of strong, lightweight precision carbon fiber propellers can make is extraordinary. Adding advanced, well-crafted drone propellers can also increase the agility of your drone and provide more accurate performance in the air. Seek out drone propellers that offer low air friction and a reduced noise level to improve the quality of your flight. Should you decide to upgrade your drone, to optimize its performance be sure to source the parts from a manufacturer like XOAR that engineers their motors and propellers to function together as mutually-enhancing precision pairs. The difference will amaze you. XOAR has been giving flight to UAV hobbyists for over 40 years with their array of products. Their dedication to innovative, cutting-edge technology complements their insistence on the highest quality designing, manufacturing, and material. This commitment to excellence has given XOAR a reputation second to none in the drone community. They specialize in aerial propellers for Industrial UAVs, Mid-Large Size UAV, Ultralight Aircraft, Civil Aviation, LSA, commercial applications, and the RC Airplane market. With massive corporations like Amazon, Wal-Mart, eBay, Domino’s, UPS, and Google staking huge sums of money on drone delivery, a future with drone delivery is a virtual inevitability. The challenges of drone delivery, however, make what that future is going to look like for both corporate and hobbyist drone users less certain. Those challenges can be broken down into three broad categories: natural, man-made, and technological limitations. Something as basic as a thunderstorm presents a number of hypothetical logistical issues. How well would drones fare when buffeted by wind and sheets of water? Would an electrical storm interfere with the communication or guidance systems? And if the drone, the drone motor, its electronics, and the package were all engineered to be weatherproof, how well would those deliveries stand up to consumer expectations? Would customers trust a delivery of electronics (or takeout) that would be flown through a gale? Birds have long been the other primary natural concern. Avoiding bird collisions has been a priority for drone- and bird-lovers since mainstream drone piloting became a reality. According to the corporations developing the drone delivery tech, their bird sensors are very good, but there simply hasn’t been a widespread rollout yet. Will those bird sensors operate effectively among a group of drones, or in rain, snow, or fog? Governments are understandably leery of fleets of drones zipping through their airspace. To avoid issues such as drones colliding with wildfire-fighting aircraft (which nearly happened above an East Idaho wildfire), regulations for urban, suburban, and rural airspace are still being established and likely will be for some time. Big corporate players like Amazon are coordinating with government regulatory bodies like the Federal Aviation Administration, U.S. Department of Transportation, and USPS to hammer out the sort of drone regulations that currently apply to commercial and private airliners. Whether or not the government and corporate regulation guidelines will agree remains to be seen. Another facet of man-made challenges to drone delivery is the less pressing but still present threat of malicious attacks on drones, primarily by hackers and people shooting at the drones. (And not just with guns—Amazon has filed a patent for their anti-bow-and-arrow defense tech.) Mega-corporations generally have the budget to develop effective safeguards against threats like that, but if the technological age has taught us one thing, it’s that people are capable of great creativity when it comes to attacking different technological systems. Like any other technological device, drones are limited by battery life, signal strength, and the possibility of mechanical failures. Drones aren’t just any other device though; in this instance they’re flying robots delivering packages. It’s an assignment that highlights and tests their limitations. Unlike the traditional delivery truck, the delivery drones being unveiled appear to be limited to carrying packages of 5 pounds or less. Additionally, the average drone motor gives them a range of within 10 miles from the closest distribution hub. And it’s also unclear how viable delivery would be for those living in an apartment, condo, or even a house without an on-property clearing large enough to accommodate a drone landing. So while the possibility of drones dropping something you ordered half an hour ago on your doorstep without using any gasoline is an appealing one, we don’t yet know when that eventuality will come to pass. Nor what the regulations governing corporate drone fleets will mean for the hobbyist. XOAR has been giving flight to UAV hobbyists for over 40 years with their array of products including high-performance drone propellers. 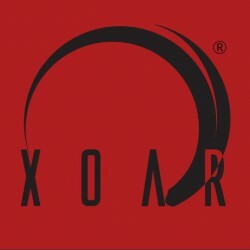 Their dedication to innovation, cutting-edge technology, and only the highest quality designing, manufacturing, and material has given XOAR a reputation second to none in the drone community. They specialize in aerial propellers for Industrial UAVs, Mid-Large Size UAV, Civil Aviation, Ultralight Aircraft, LSA, commercial applications, and the RC Airplane market. XOAR props offers a reduced noise level, increased agility, low air friction, and accurate performance in the air. Gone are the days of free, unrestricted drone flying in the U.S. Since 2016, the Federal Aviation Administration (FAA) has been rolling out regulations and restrictions that maintain safety in the airspace above us. You must adhere to these restrictions whether you fly for fun or for your livelihood. In addition to these restrictions, you should also respect your fellow flight enthusiasts and those around you. One way to do this is to spring for a quieter drone motor. It’s also a good practice to check the skies before you fly so you’re aware of any other drones already in the airspace. Flying for recreation has a different set of guidelines than commercial drone flying. You will need to register your drone aircraft with the FAA. Registration costs $5 and is valid for a period of three years. In addition to registering your drone, as a hobby flyer, you’ll have to keep your drone at or below 400 feet and in your line of sight. Your drone must weigh under 55 pounds unless certified by a community-based organization. You will also have to adhere to temporary flight restrictions that occur during hazardous conditions such as a wildfire or chemical spill. Under the FAA’s Small Unmanned Aircraft System (UAS) rule, you can register your drone for commercial and recreational use. If you use your drone for any commercial operations, you’ll want to choose this option. You will still have to register your drone with the FAA, and the cost to do that is still $5 per aircraft, which is valid for three years. However, unlike a hobbyist, you’ll need to label your unmanned aircraft with your registration number. You’ll also need to acquire a remote pilot certification from the FAA, fly a drone under 55 pounds, and maintain a visual line-of-sight while flying. You also can’t fly in controlled airspace or near other aircraft or over people. Fly only during daylight at or below 400 feet. Some of these rules, like visual line-of-sight and flying over people, can be waived by completing a special request with the FAA. In addition to temporary flight restrictions, there are also restrictions that limit any flying of drones in a no drone zone, and you must never fly near any emergency response efforts. Also never fly near other aircraft. If you’re flying within 5 miles of an airport, you must notify air traffic control. Maintain a respect for others when you fly. Don’t be a nuisance who disrupts others. Follow the FAA guidelines, and you’ll be having fun with your drone for years to come. Utilize the B4UFLY Mobile App for the latest, real-time information concerning airspace restrictions and other flying requirements targeted for your GPS location. XOAR has been helping hobbyists fly better for over 40 years. Their dedication to innovation and technology allow them to offer high-quality products that out-perform their competitors. XOAR specializes in designing and manufacturing contemporary drone propellers for Industrial UAVs, Mid-Large Size UAV, Civil Aviation, Ultralight Aircraft, LSA, Commercial applications, and RC Airplane market. Crafted from quality materials, a finished XOAR prop offers a reduced noise level—especially when using a XOAR drone motor—as well as increased agility, low air friction, and accurate performance in the air. Your drone and its flying capabilities are significantly affected by the propellers you choose to use. The material they are crafted from, the shape of the tips, even the pitch can be altered and improved upon with the right propellers. Below are some tips that address components of the propeller and how they affect your drone’s flying capabilities. What your propellers are made from is essential because different materials enhance different capabilities. Carbon fiber props, for example, are ideal for decreasing weight and improving strength while performing. They also offer superior endurance which results in longer flight times. Doing your research prior to choosing your propellers will help ensure that your drone propellers 50+ improve your drone in the ways that you need. Most efficient, however, it provides less thrust. Pointy tip. Creates more thrust due to its broader surface area. Flat, broad tip. A mixture of the pointy nose and the and happiest median. Slightly curved with a little rounding. Choosing propellers of the same size and pitch will increase efficiency. According to Drone Omega, “The quadcopter propeller pitch is a measurement of how far that a propeller will move through the air for every single rotation of the motor/propeller. This is only a theoretical approximation since real-world factors such as prop material, air density, and efficiency can influence this distance.” The faster you want to go, the higher you want your pitch value. The motor you choose for your drone affects its performance just as much, if not more than the propellers. Whatever your drone weighs, your drone motor 50+ should create at least twice the thrust of its weight. 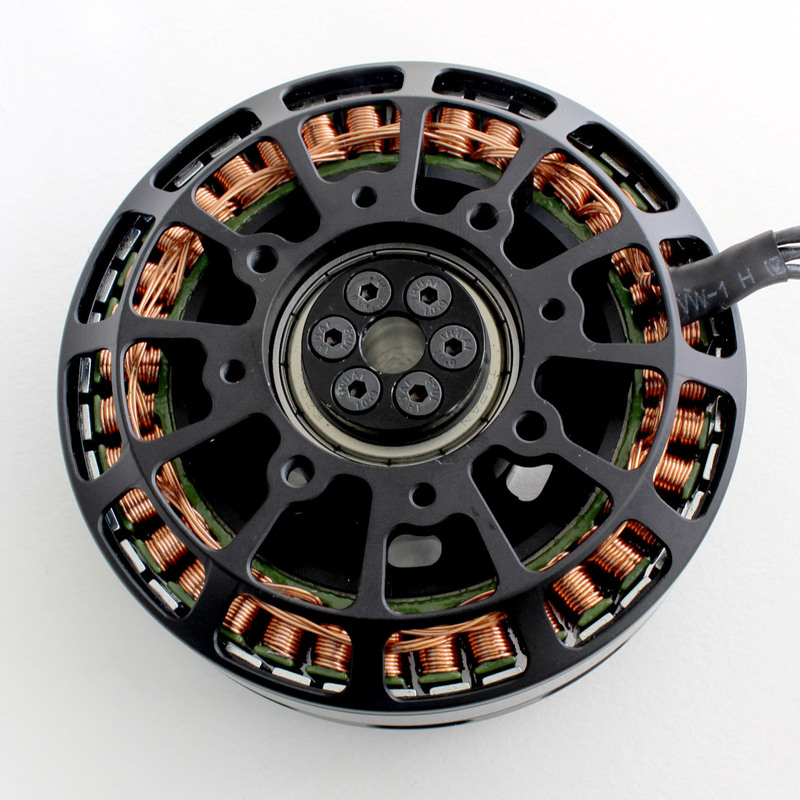 A brushless motor will increase durability and reduce wear and tear. 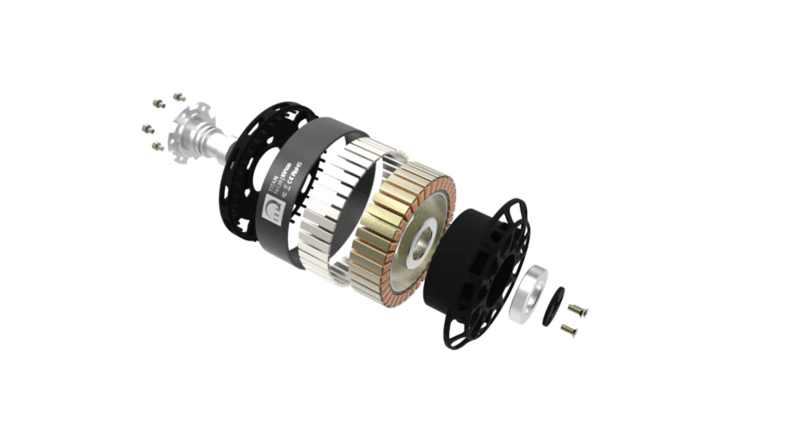 While a brushed motor is lower in cost and more straightforward to control. XOAR has been helping hobbyists fly better for over 40 years. Their dedication to innovation and technology allow them to offer high-quality products that out-perform their competitors. XOAR specializes in designing and manufacturing Aerial Propellers for Industrial UAVs, Mid-Large Size UAV, Civil Aviation, Ultralight Aircraft, LSA, Commercial applications, and RC Airplane market. Crafted from quality materials a finished XOAR prop offers a reduced noise level, increased agility, low air friction, and accurate performance in the air. Xoar propellers are the perfect upgrade for your DJI Phantom 3 & 4. Their propellers are engineered with a unique blade shape and thin hub to maximize and enhance the flying capabilities of your Phantom. The superior strength of these props reduces flexing of the tips during flight which greatly reduces noise and vibration to yield a responsive, smooth flight. When Should You Replace Your Drone Propellers? By the end of 2018, it is expected that the consumer drone market will grow to over $1 billion in sales. That number is not really a surprise since from farming to photography, the use of drones permeates a massive variety of industries. Not to mention, they are a great time to fly. Not only can having damaged props make flying noisier, but it can also increase the vibrations, which in turn can shorten the life of motor bearings due to a lack of balance. So, if you see any cracks, nicks, or deformations, it is time to replace your propellers. Never fly your drone if there are chunks or tips missing from your props. This can be particularly important if you fly in largely populated areas, as you’ll annoy fewer people with a quieter drone. The talented fell as over at Drone Gear recently reviewed Xoar’s beechwood drone propellers 50+ and found them to be almost 10 decibels quieter than their counterparts. Updating your propellers can provide you with increased agility, if you upgrade to a stiffer material, your drone will be more responsive without added drift. If you want to take your drone to new heights, you should invest in stiffer propellers. The higher the altitude, the thinner the air, which means that to perform at the same ability as sea level, the thrust from the props must increase while in higher elevation. As such, performance degrades at approximately 3% per 1000 feet as you climb in altitude. Your drone has to work harder the higher it flies. Replacing your propellers can make it fly like it’s new again. If you’re upgrading from standard props to a more agile performance-based prop, you’ll see a drastic difference in performance. Xoar has been helping hobbyists fly better for over 40 years. Their dedication to innovation and technology allow them to offer high-quality products that out-perform their competitors. Xoar specializes in designing and manufacturing Aerial Propellers for Industrial UAVs, Mid-Large Size UAV, Civil Aviation, Ultralight Aircraft, LSA, Commercial applications, and RC Airplane market. Crafted from quality materials, A finished Xoar prop offers a reduced noise level, increased agility, low air friction, and accurate performance in the air.